Every day we have books and puzzle time at our preschool right after snack time. 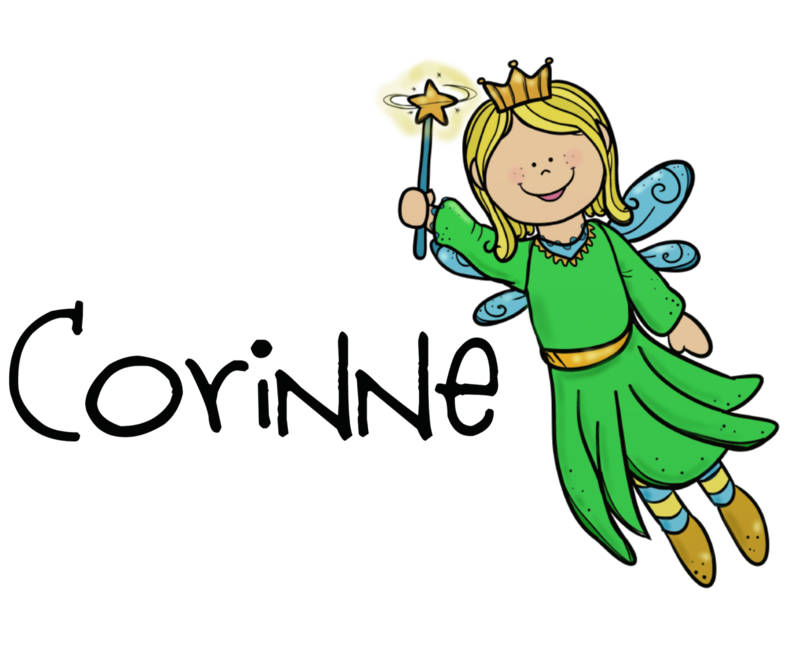 It's a great transition activity between eating (and waiting for friends to finish up) and heading outside for more active play. At this time of year, though, the puzzles always start to feel a little stale. The kids have seen our selection a number of times and no amount of rotating the stock can make them seem as fun as they once were. 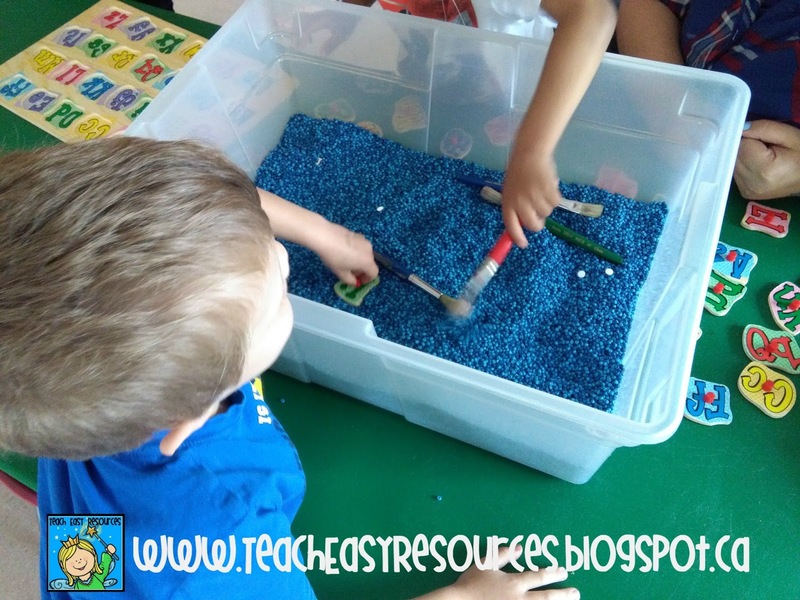 Play to Learn Preschool and knew I had to try it too! 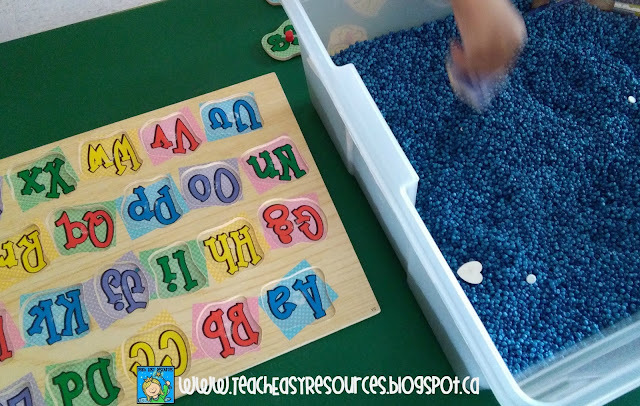 We buried the pieces from our wooden alphabet puzzle and our wooden number puzzle in a bin of small beads. We added paint brushes to the bin so students could act like "excavators" and brush off all the beads from a piece before removing it from the bin. 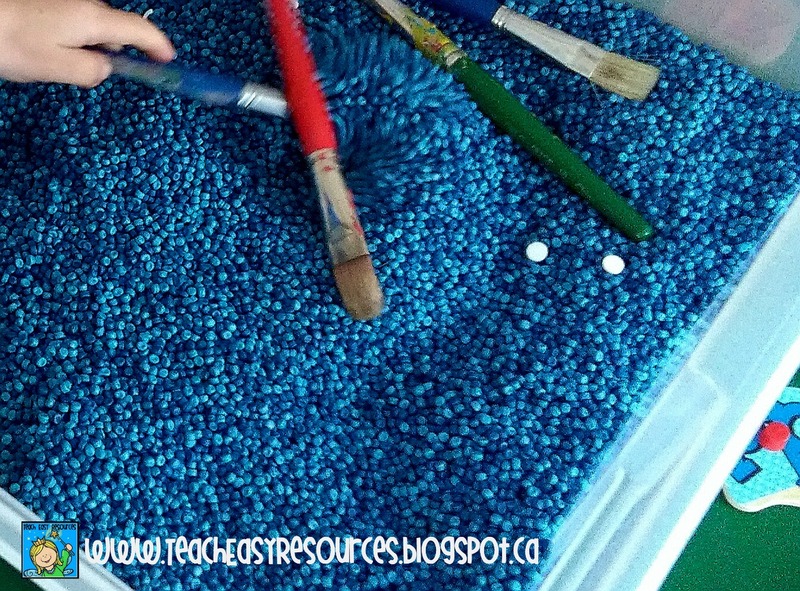 Once the pieces were bead free, the kids added them to the alphabet or number puzzle board. Deciding whether each piece was a number or letter was easy for some, but a good learning activity for others. Suddenly the old puzzles became new again and we had a bunch of kids excited to play. is always a good thing!